I will be giving you the top 31 Live updates on the ongoing Utme…….. 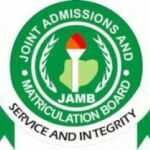 Remember, Jamb 2017 Dates are: May 13th, May 15th, May 16th, May 17th and few days more. Different Jamb Expo Reported to be leaked questions have started rolling out. However, I doubt the credibility of the answers spreading across various social media. Different candidates have started going to their Jamb centers. There is massive population in various center. Some candidates feel intimidated at the sight of the crowd. Screening has begun and Students have started entering the examination hall. There was delay in some of the CBT Centres around Nigeria. No candidate has report issue of faulty computer system so far. Jamb actually reduced the exam time and number of questions. Students have started coming out of the hall. According to those who wrote Jamb mathematics, Indices and logarithm were set. Jamb actually repeated past questions. No CCTV Cameras in some centers? Someone just reported this. Some Jamb 2017 candidates said that the questions were very familiar. Gas Laws came out in Jamb physics live questions. For Jamb Chemistry, Acids, Bases And Salts Were hot questions. For mathematics, permutation and combination came out. Example, in how many ways can the word EXCELLENCE be arranged? Jamb Use Of English as usual, featured a comprehension passage, cloze test, antonyms and synonyms. How many questions were set from Jamb IN DEPENDENCE? No update on that yet. But questions came out from it. When asked, how did the examination go, some candidates reply that the examination was great. According to report, candidates did not see their result immediately. “The Questions tough o and no time”. Someone Just reported this. However those who said it was simple are more. So many candidates said that Physics was very simple. Could this be true? Read light and waves under Physics….. Someone just said this. Some centers are not done with first batch candidates. Second batch Jamb 2017 examination about to begin as first batch candidates have rounded off. The report on subjects so far has been from Science students. Could it be that art students have not written? Some candidates still hanging around after the exam, while others are on their way home. The results would be released soon…….That what candidates were told. I know many of the questions, but there was no time for me to answer everything….. Someone says. More will be passed updated soon. Follow us and don’t fail to share your experience.